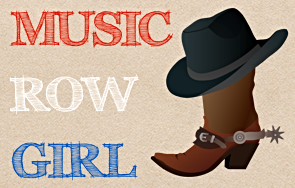 …from all over the world come to see our country singers/bands perform! 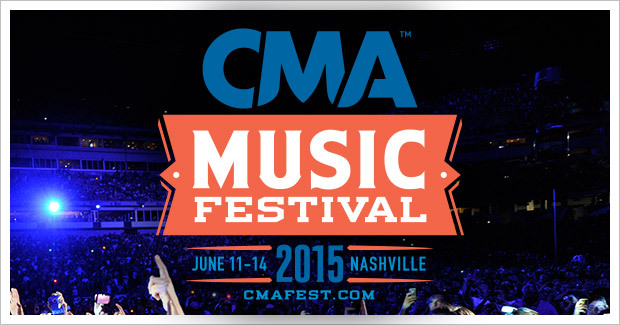 In about six weeks from now, CMA Music Festival will take over Nashville from June 11-14! I’m super excited!!! I like to go to local shows and support our best songwriters. They work so hard and I love to hear them play!! The Belk Park Stage at Walk of Fame Park will be free for fans this year and the Bud Light Plaza Stage at Bridgestone Arena’s plaza will be free as well providing music from 10:30 am to 5 pm! Artists playing the Belk Park Stage will include: Lauren Alaina, Greg Bates, Jeff Bates, Blackjack Billy, Laura Bell Bundy, Chris Carmack, Mark Collie, Adam Craig, Lindsay Ell, Haley & Michaels, Amber Hayes, Lyndsey Highlander, Lucas Hoge, Home Free, Joey Hyde, Stella James, Kentucky Headhunters, Ryan Kinder, John King, Mac Powell, Rainey Qualley, Dylan Scott, Tate Stevens, SunnySweeney, The Cleverlys, The Henningsens, The SteelDrivers, Tim Montana and the Shrednecks, Waterloo Revival, Austin Webb and Chuck Wicks. I have to say that I would love to see Stella James since my name is Stella and I certainly would like to see Mac Powell and Chuck Wicks for free too! 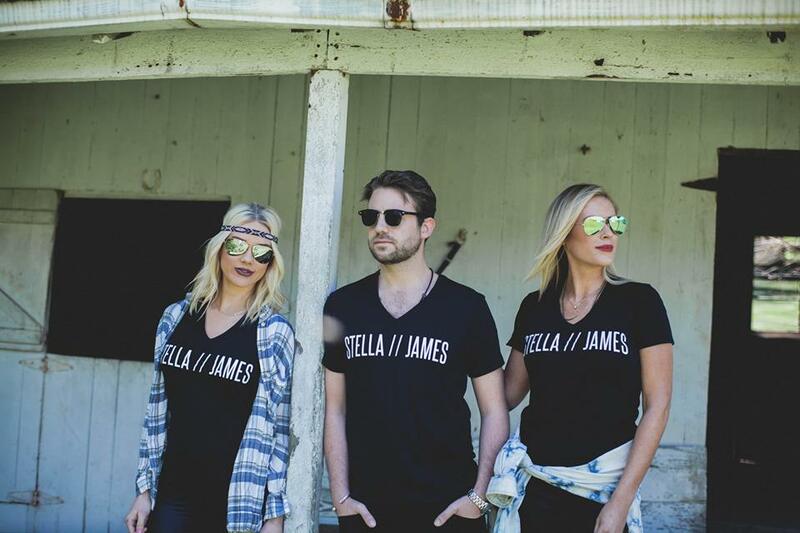 Stella James is actually a band! HOW cool!!! As far as the Bud Light Plaza Stage goes, you can expect to see: A Thousand Horses, Dean Alexander, Keith Anderson, Kelsea Ballerini, Kelleigh Bannen, Brothers Osborne, CAM, Ashley Campbell, Deana Carter, Casey Donahew Band, Ruthie Collins, Bucky Covington, Drake White & the Big Fire, Clare Dunn, JT Hodges, Chris Janson, Jana Kramer, LoCash, Love & Theft, Marshall Tucker Band, David Lee Murphy, Natalie Stovall & the Drive, Native Run, Steven Lee Olsen, Mo Pitney, Trick Pony, Michael Ray, Gwen Sebastian, Dallas Smith, Jamie Lynn Spears, Striking Matches, The Grascals, and The Lacs. I would be excited to go see Jana Kramer and also, Love & Theft! It’s been so long since I’ve heard from them and I really do like Jana’s music! 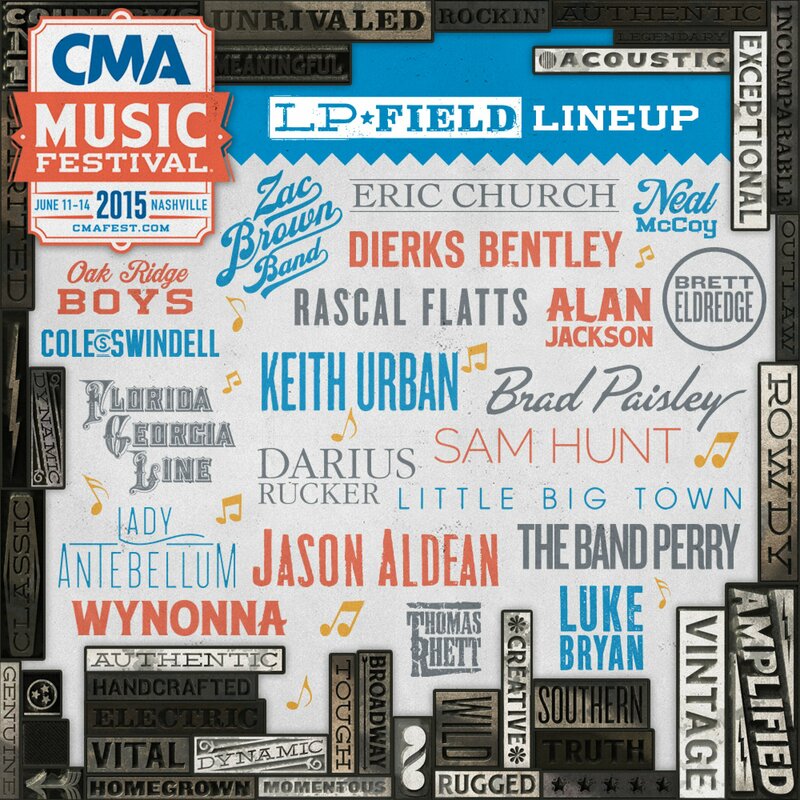 Congrats CMA Fest on an incredible 2015 lineup & cheers to all the free shows!